If you've been as busy as we have, perhaps you missed some of the great news that we've been generating for our Kurman Communications clients. Here's a rundown of some of our hits in July. Thanks to all of the media and bloggers who support our clients by telling their stories. And, thanks to our readers for your continued interest. Have a great August. We look forward to seeing you in the news! From time to time, Fleming's Prime Steakhouse & Wine Bar (25 E. Ohio St., Chicago; 312-329-9463 and 960 Milwaukee Ave., Lincolnshire, Ill.; 847-793-0333) likes to offer guests the opportunity to enjoy a bottle of special wine at a great price through the Fleming’s Icon Wine program. Starting August 6, Fleming's will have the exclusive release for the 2007 Silver Oak Alexander Valley Cabernet Sauvignon, coinciding with the winery release. Fleming’s will be the only restaurant to offer this wine and will have exclusivity on it for approximately one week. 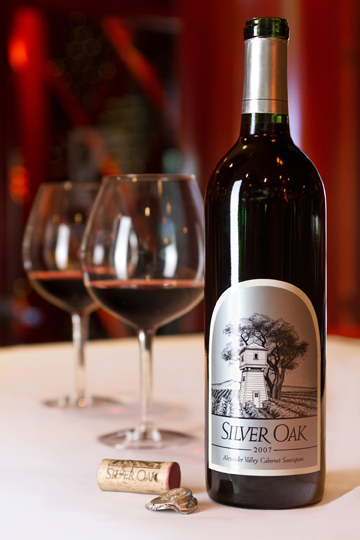 The 2007 Silver Oak Alexander Valley Cabernet Sauvignon is a profound, fruit-driven wine from a great California vintage. It has a dark ruby color with a purple edge and an inviting nose of ripe black plum, blackberry, baking spices and soy sauce. 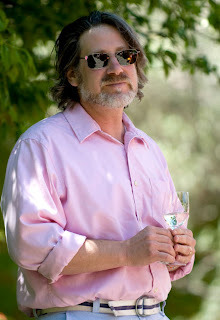 On the palate, the wine is rich and full, reminiscent of the flavors of a berry cobbler. It has a long, fruity finish with fine grained tannins, and is a testament to exquisite ripeness at moderate alcohol. With proper cellaring, this wine should give drinking pleasure through 2031. Fleming’s will offer guests the 2007 Silver Oak Alexander Valley Cabernet Sauvignon for $100 per bottle from August 6 until September 30—or until inventory runs out (normally retails for $150 - $175). Restaurant & Tequila Bar (73 Green Bay Rd., Glencoe, Ill. 847-242-0501). The restaurant’s namesake pays homage to its owner and chef Margarita Challenger’s hometown of Dolores Hidalgo, known for its unique ice cream flavors sold on every corner. The city’s central plaza is packed with vendors competing to win tourists’ attention with their ice cream. This authentic Mexican restaurant offers a plethora of unique flavors perfect for those long hot summer days. Escape the heat by treating yourself to two scoops of any flavor for $2.75 at Guanajuato 11 a.m. -10 p.m. daily. Even the most persnickety ice cream connoisseurs won’t be able to resist these truly original flavors: Avocado, Cajeta (Mexican-style caramel), Cheese, Corn, Mole (Mexican-style chocolate), Pecan, Rum and Tequila. For those ice cream lovers who won’t stray from the classics, don’t worry—Guanajuato serves up Chocolate, Vanilla and Strawberry. There’s something for everyone at Guanajuato! 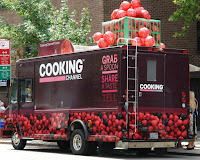 Tomorrow (Saturday, July 16) will be a great day in Chicago if you’re a foodie. Start off the day at 9:30 a.m. with a personal tour of Green City Market by founding member Chef Sarah Stegner, an owner of Prairie Fire (215 N. Clinton) and Prairie Grass Café (601 Skokie Blvd., Northbrook). You’ll meet the farmers and hear first hand about seasonal produce and how to use it. The tour is followed by a fabulous brunch at Prairie Fire where you’ll enjoy Mint Creek Farm Lamb, Genesis Growers Eggs & Greens, and Three Sister’s Garden Polenta, served family style with French Toast from Crumb with Tim Burton’s Maple Syrup and fresh seasonal fruit topping. The cost is $18.50 per person, including the tour. Guests are asked to make advance reservations by calling 312-382-8300. Sarah will meet you at the Green City Market information desk promptly at 9:30 a.m.
Affogato al caffé A typical Italian treat: espresso poured over vanilla gelato. The hot espresso and cold ice cream combine perfectly changing textures and temperature. 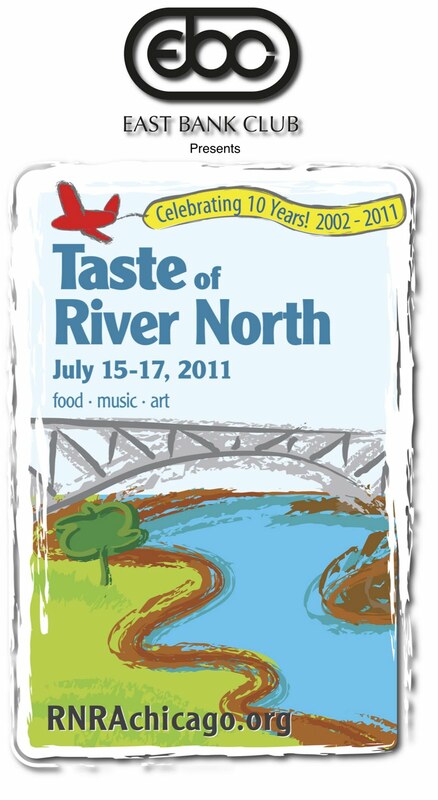 After you’ve had your fill from Lavazza courtesy of the Cooking Channel, top off your afternoon and evening at Taste of River North (running July 15-17) presented by East Bank Club and hosted by the River North Residents' Association. 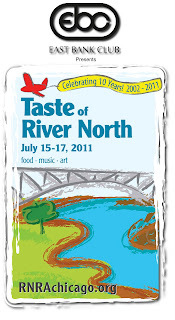 Located in and around Montgomery Ward Park, this 10th annual event features food by many River North area restaurants, live music, and it showcases best of everything the River North neighborhood has to offer! The recommended donation for admission is $5. All food and beverages must be purchased for tickets, not cash. Tickets are just $1.00 each, and will be sold in strips of 5 for $5.00 or 10 for $10.00 only. Tickets may be purchased at booths located near each gate. Tickets may also be purchased at the wine concession on the river walk. Event hours are 5 pm to 10 pm on Friday July 15; noon to 10 pm on Saturday July 16, and 11 am to 6 pm on Sunday July 17. 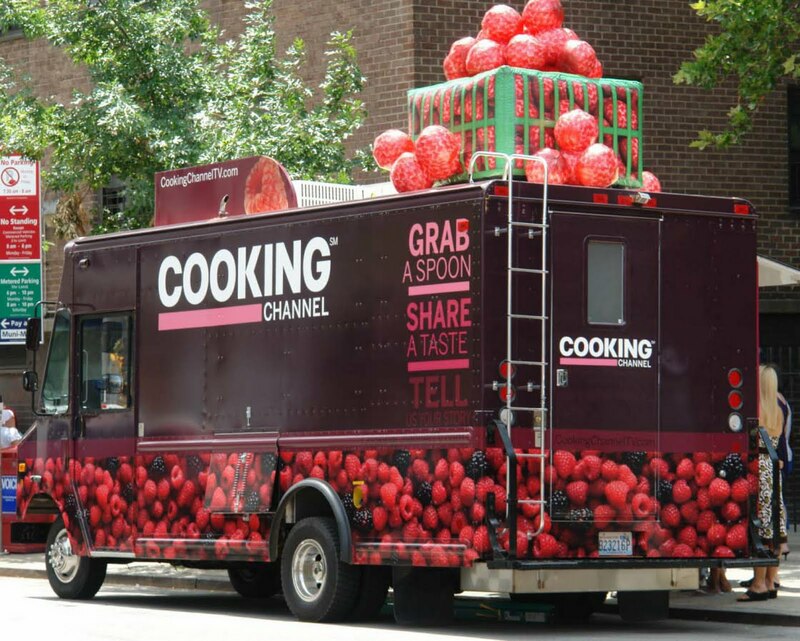 Join Prairie Fire (215 N. Clinton St., Chicago; (312) 382-8300) chef, Sarah Stegner, 9:30 a.m. Saturday, July 16 for a personal tour of Green City Market (1750 N. Clark St., Chicago) followed by a family-style "communal" market brunch 11:30 a.m. at Prairie Fire. French Toast from Crumb with Tim Burton's maple syrup and fresh seasonal fruit topping. Sliced Mint Creek Farm Lamb Sausage with summer herb remoluade, served with grilled veggies and Capriole Farm goat cheese. Crisp Polenta Cake with poached farm egg and summer vegetable relish, topped with Maple Creek Farm bacon. $18.50 per person-price excludes tax, gratuity and alcohol beverages. Meeting spot: GCM info booth. 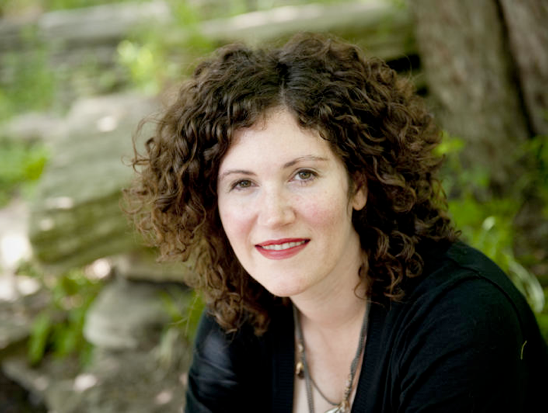 The brunch will also feature special guest Heather Lalley, author of The Chicago Homegrown Cookbook of which she spent a year interviewing Chicago chefs and farmers-recognizing the tremendous commitment in creating wonderful, fresh, farm-to-table food. Lalley's book can be purchased at Prairie Fire's market brunch for $30. Stegner is a founding member of Chicago's Green City Market-a weekly venue for Midwest sustainable farmers. Green City Market draws hundreds of thousands of shoppers annually, making it Chicago's largest market and among the few sustainable markets in the country. Prairie Fire and Prairie Grass Cafe (601 Skokie Blvd. ; Northbrook, Ill.; 847-205-4433) are proud to support Green City Market and local sustainable farms, selecting the freshest ingredients to reflect the season. Two-time James Beard award-winner, Sarah Stegner, is co-chef and co-owner (along with George Bumbaris) of Prairie Fire and Prairie Grass Cafe. This Evanston, Ill. native grew up in a family devoted to food, thus setting the foundation for her passionate and successful career as one of America's most respected chefs. 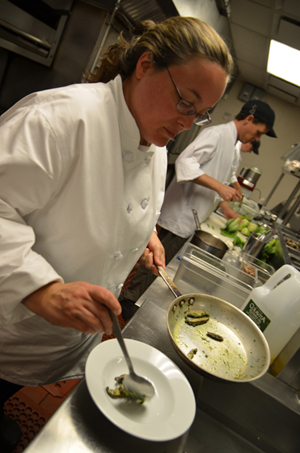 Stegner graduated with a chef's certificate from the Glencoe, Ill. Dumas Pere Cooking School. She went on to build her prestige reputation at the Ritz-Carlton Hotel Chicago, establishing her friendship with now business partner, Chef George Bumbaris. Even through her impressive award-wining history, Stegner remains modest and passionate about using the best seasonal ingredients to be found. Photo of Sarah Stegner (shown above) available in high-resolution. Join nearly 100 of Chicago’s premiere chefs from 5:30-8 p.m., Thursday, July 21, 2011 at the Green City Market (1750 N. Clark St., Chicago, Ill.) for the “True Taste of Chicago,” the Green City Market Chef's BBQ Benefit. The Chefs partner with the Green City Market farmers and producers to develop recipes that promote the bounty of fruits and vegetables currently available. In addition to food, locally made beer, wine, hand-crafted cocktails and non-alcoholic beverages will be available. Online purchase of tickets is available on brownpapertickets.com through July 11 and at the Market information booth every Wednesday and Saturday. Tickets will not be available for purchase at the BBQ. All sales are final, no refunds or exchanges and no dogs are allowed at the event. VIP Tables: $2,500.00 (The VIP Heirloom table is $2,500 and seats ten. VIP tables are not available online but can be purchased by calling the Green City Market office at 773.880.1266). Don’t miss out on one of Chicago’s most unique and tastiest events of the year. It doesn’t get better than great food, drinks, music and the beauty of Lincoln Park on a summer evening in Chicago. The proceeds from the event support Green City Market’s educational programs and outreach initiatives. From its ethnic enclaves and under-the-radar eateries to haute haunts and places serving seasonal fare, Chicago is a singular, yet multifaceted, culinary destination. In Food Lovers’ Guide to Chicago, longtime food writer Jennifer Olvera shares an insider’s perspective on where to find, and revel in, the city’s edible treasures. Inside its pages are recipes from touted chefs, including Paul Kahan and Rick Bayless as well as Giuseppe Tentori, Paul Virant and Bill Kim. Food Lovers’ Guide to Chicago, www.foodloverschi.com, is a definitive resource for food lovers near and far, and it’s meant to be savored and used as a source of inspiration by anyone who loves good eats. Jennifer will be doing a demo and book signings at Chicago French Market, 131 N. Clinton, noon to 1:30 p.m. August 12 and 13. The event is free and open to the public. Books may be purchased for $15.95. Jennifer Olvera—a graduate of DePaul University—has been covering Chicago food and dining for internationally recognized print publications and websites for over a decade. 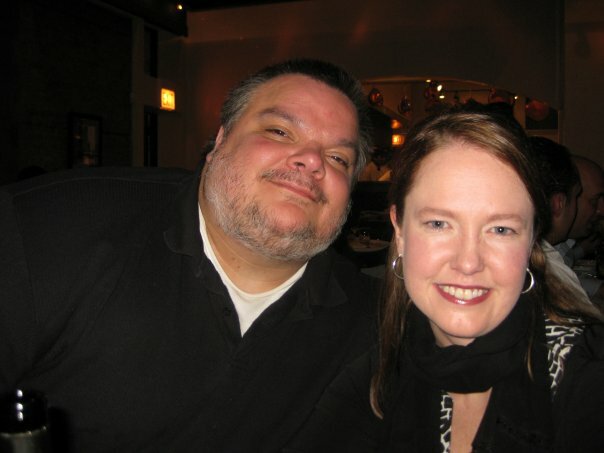 A contributor to the Zagat Chicago Restaurants Survey, she regularly pens stories (and tests recipes) for the Food section of Chicago Sun-Times and writes about far-flung destinations—often with an eye toward edibles—for Chicago Tribune, Los Angeles Times, Orbitz.com and Frommers.com. In the past, Jennifer also served as a dining critic for Chicago magazine. When she’s not seeking her next meal, you’ll find her tending to her garden, canning or cooking up a storm. Music is everywhere and our good friend Greta Pope is fortunate to be part of Chicago's vibrant creative arts scene. For the first time this year, the City of Chicago participated in the Fete de la Musique, also known as World Music Day. This worldwide event took place on the Summer Solstice, June 21st and was celebrated in 462 cities around the world. 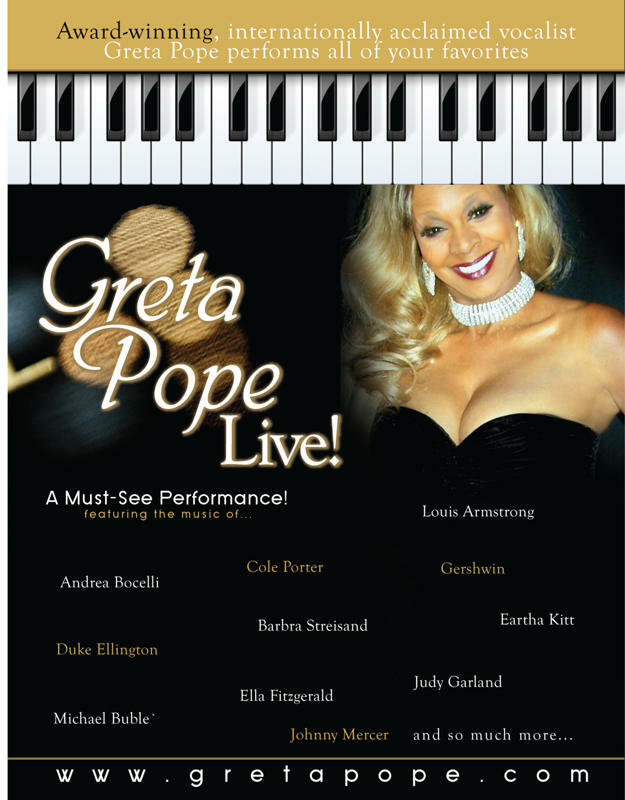 Greta is very proud to have been one of the musical artists that performed for this inaugural event in Chicago. Tres merveilleux! If you missed it, don’t fret. She has several fun and exciting events up coming this month. 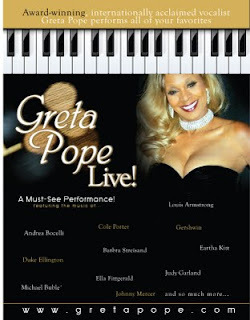 You can learn more by visiting Greta Pope Entertainment at Greta's Website and by subscribing to Greta's Blog. Follow Greta on Twitter (@gretapope), Facebook and LinkedIn. Please also subscribe to our new Blog.